Review Samsung Galaxy Xcover 4 in test: Welcome in 2017! The Galaxy Xcover smartphones from Samsung looked so far not only old-fashioned but also offered appropriate hardware. They were robust. In 2017, Samsung’s outdoor smartphone drills powerful. The Galaxy Xcover 4 is not only tough but also offers much better hardware. 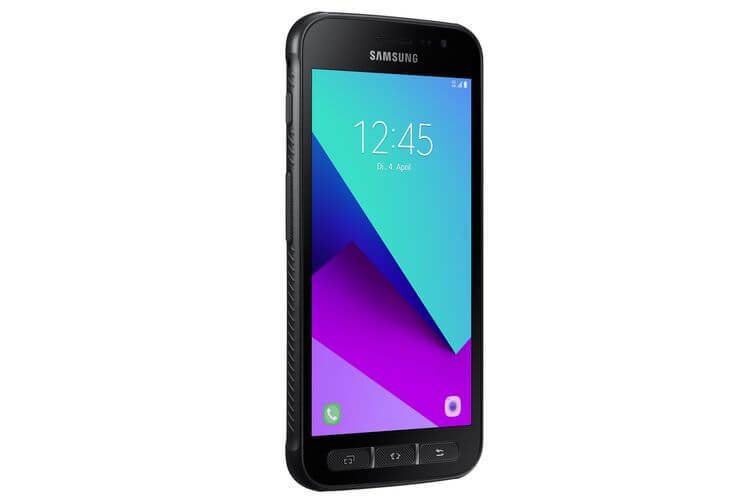 The smartphones from Samsung’s outdoor series Galaxy Xcover had always looked a little bit out of time, but this has not changed much in the 2017 edition. Thick as the Nokia 3310 and equipped with lots of buttons, the Galaxy Xcover 4 is soon on the shelves. The plump exterior has its reason. The Galaxy Xcover 4 puts environmental impacts far better than many a competitor. So you can dive the Galaxy Xcover 4 according to IP68 up to 1.5 meters deep for 30 minutes under water. In addition, it is certified according to the US military standard MIL-STD 810G and can withstand low or high temperatures, mechanical shocks, and vibrations, intense sunlight or salt water mist. This is nothing new that could already be the predecessors. However, Samsung fans had to accept the grayed-out hardware. These changes with the Xcover 4! 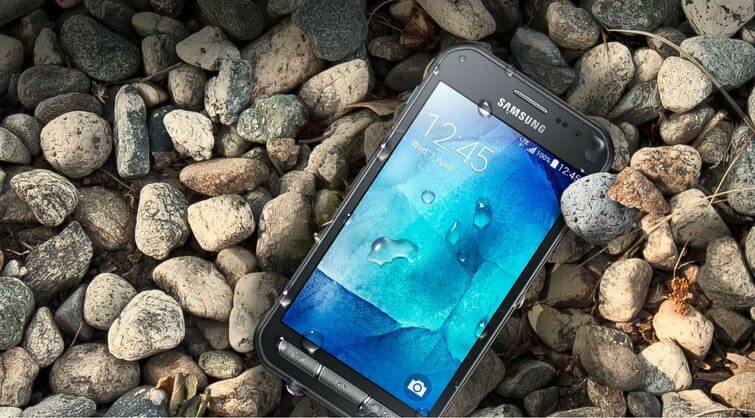 Under the hood Samsung has the rugged Android phone namely retreaded. Scarcely one component remained unaffected. This starts with the display. The screen is not only grown from 4.5 to 5 inches in the diagonal, it finally also resolves in HD. The higher resolution provides a much sharper and clearer picture, which was in the shortest time. However, Samsung continues to install a TFT panel and no AMOLED screen in its outdoor smartphone. So if you are looking forward to the bright colors of other Samsung smartphones, the Galaxy Xcover 4 is a bit disappointed. The energy storage can also be changed. Samsung has also doubled the built-in memory. Instead of 8 gigabytes, the device stores 16 gigabytes of data. Nearly 10 gigabytes are available to you for apps, pictures, music, and videos. A maximum of 256 gigabytes of additional memory space is obtained by inserting a microSD card into the Galaxy Xcover 4. Samsung-typical supports the outdoor smartphone but not the combination of SD and system memory (Adoptable Storage). Apps can, therefore, be restricted to the memory card only to a limited extent. The probably biggest update has the built-in camera experienced. It now replaces with 13 instead of as before with 5 megapixels. The rear camera also has a large aperture of F / 1.9. Videos can now also be recorded in full HD; so far only HD videos were possible. The upgrade has paid off, as the Galaxy Xcover 4 shot at the Samsung Roadshow in Hamburg shows. The recording is sharp and detailed, but the dynamics capture, as well as the noise behavior, could be better. Also, the autofocus worked a bit slowly in the short test and had to readjust frequently. But the software of our test device was not yet final. Selfies shoot the Galaxy Xcover 4 by the way with a maximum of five megapixels. As an operating system is installed on the Galaxy Xcover 4 the new Android 7.0 nougat preinstalled. Samsung has also donated some features of the top models Galaxy S7 and Note 7 – such as the Secure Folder, with which you can protect data and apps against unauthorized access. With regular security patches and Android updates, however, you should not count as a Xcover 4 buyer. Samsung is updating its outdoor smartphone rarely. To operate the Galaxy Xcover 4 a nano-SIM card is required. The predecessor still supports the larger Micro-SIM. You can cut your old SIM card but usually also use it in the Galaxy Xcover 4. Further innovation: As in the new Galaxy A series, the loudspeaker is now at the side of the Xcover 4. So do not hide in the video look so fast. Despite numerous innovations, Samsung sticks to the strengths of the series. So you can still have real keys for “Back”, “Home” or the view of all open apps available. Thanks to this and a very sensitive screen, the Xcover 4 can also be operated with gloves. On the left side of the case, you will also find a freely assignable Xcover-Key. Using the button you can activate the flashlight with a finger movement, for example. 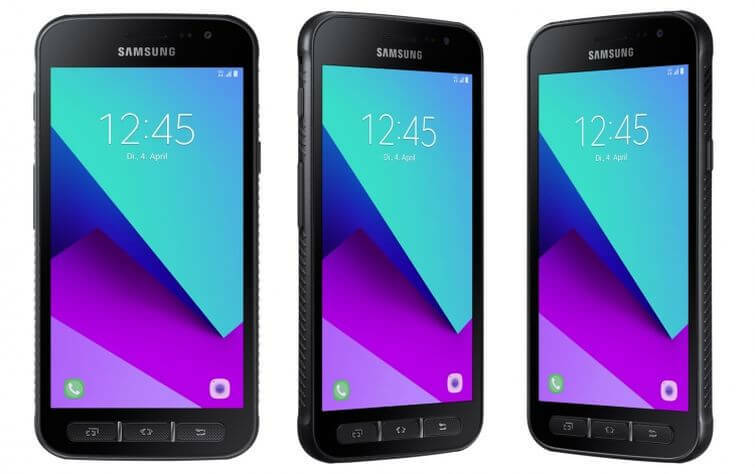 The Galaxy Xcover 4 is to be available from April in the color “black” in the shops. Further color variants are not planned at first, nor are a dual SIM variant. The suggested retail price is 259 euros. The Galaxy Xcover 4 does not offer spectacular innovations. The new edition is a pure hardware update. This, however, was a bitter necessity. The predecessor Xcover 3 could not keep pace with the competition, especially with the display, camera, memory and battery. Although the 2017 version is not one of the most powerful devices in its price class, the distance to the competition is, however, much smaller than in the years before. Mid Year Sale 2018 from GearBest: What Can You Expect?